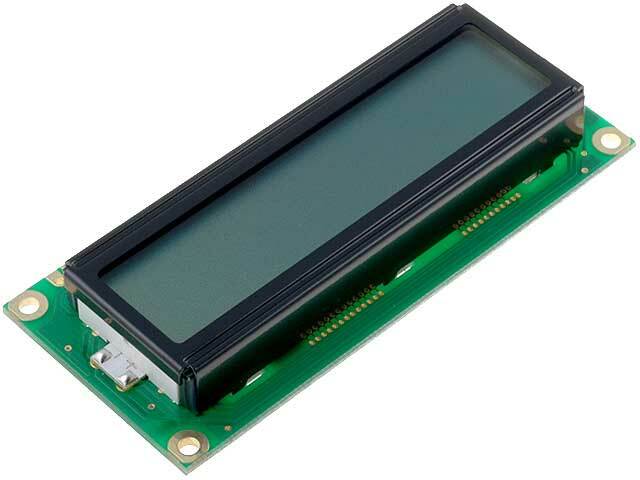 Alphanumeric LCD displays used in consumer electronics. TME offer contains, among others, the RC1602B model which displays 2 lines with 16 characters in the grey background with green illumination. The RC1602B offers the option of displaying characters in two standards English and Cyrillic. Thanks to small dimensions it can be used in multiple applications: starting from home appliances, intruder alarm systems and finishing with specialist medical equipment.